Growth in business enabled Volkswagen Financial Services to increase its earnings in 2018. The digitalization of financial services was expanded further. Volkswagen Financial Services comprises dealer and customer financing, leasing, direct banking and insurance activities, fleet management and mobility services in 48 countries. Volkswagen Financial Services AG is responsible for global coordination of the Group’s financial services activities, the only exceptions being the financial services business of the Scania brand and of Porsche Holding Salzburg. In Europe, the principal companies are Volkswagen Bank GmbH, Volkswagen Leasing GmbH and Volkswagen Versicherungsdienst GmbH. VW CREDIT, INC. operates financial services activities in North America. In 2018, Volkswagen Financial Services continued the digitalization of its business and concluded a three-year cooperation agreement with the University of Hildesheim. In addition to promoting knowledge transfer and developing joint research projects in the future field of big data analytics, the university and Europe’s largest automotive financial services provider also intend to strengthen contacts at the graduate level. Furthermore, Volkswagen Financial Services is involved in the Hafven Smart City Hub in Hanover, a Lower Saxony-based founders’ initiative for smart cities. This was established as an organization for start-ups and young people wishing to share their ideas with others and advance them together in networks. The potential founders receive coaching and mentoring from the company on selected ideas in areas such as artificial intelligence, augmented and virtual reality or the Internet of things. In 2018, Volkswagen Financial Services invested in Verimi, a European, cross-industry identity platform combining a central login and high security and data protection standards. An overarching identity platform with a simplified customer login enhances the digital ecosystems at the Volkswagen Group, opens the door to diverse service offerings and generates real added value at a central interface for our clients – e.g. in relation to e-government activities and the digital vehicle file. 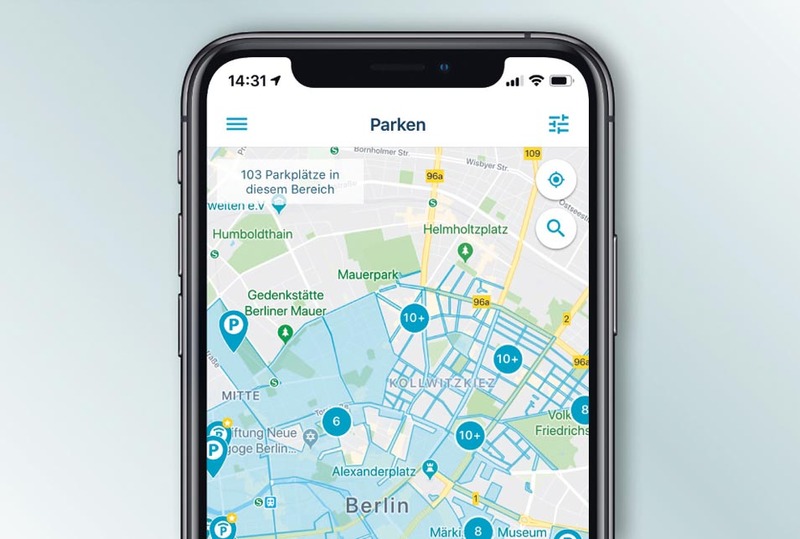 According to a study commissioned by the Focus Money magazine, the TraviPay parking app developed by sunhill technologies GmbH, Volkswagen Financial Services’ smart parking service provider is one of the best smartphone apps in Germany. A total of 375 apps from 45 industries were rated. TraviPay beat its competitors in the mobility category, in the subcategory for finding a parking space. The main refinancing sources for Volkswagen Financial Services are money market and capital market instruments, asset-backed securities (ABS) transactions and customer deposits from the direct banking business. In April 2018, Volkswagen Financial Services AG issued three bonds with a total volume of €2.25 billion and terms of one and a half, three and five years. In October, it placed three further bonds with a total volume of €2.6 billion and terms of two, five and eight years. Volkswagen Leasing GmbH placed three bonds on the capital market for a total of €2.5 billion in August. In June, Volkswagen Bank GmbH also issued a euro benchmark bond in three tranches for a total of €2.0 billion. Numerous notes transactions were conducted internationally too, including in Norway, Australia, Sweden, Mexico, Brazil, the UK and Russia. Volkswagen Leasing GmbH was once again active on the market with its ABS transactions in fiscal year 2018. The existing “Volkswagen Car Lease 26” program, consisting of securitized German leasing receivables, has a volume of approximately €1.5 billion. In the “Volkswagen Car Lease 27” program, receivables of approximately €1.0 billion are securitized. Volkswagen Bank GmbH securitized loan receivables totaling approximately €1.65 billion in the reporting year with the Driver fourteen and Driver fifteen transactions. Outside Germany, Volkswagen Financial Services issued various ABS transactions on the market, including in Australia, Japan, Spain and Turkey. In Italy, an ABS transaction was placed for the first time with a volume of €500 million. A total of ten bonds were issued. Other instruments used as part of the diversified funding strategy are customer deposits, commercial paper and credit lines. 6.9 million new financing, leasing, service and insurance contracts were signed in fiscal year 2018, 2.3% more than in the previous year. The total number of contracts stood at a new record high of 17.8 million (+3.3%) as of December 31, 2018. The customer financing/leasing area accounted for 10.1 million contracts, up 5.1% year-on-year. In the service/insurance area, the number of contracts increased by 1.0% to 7.7 million. Starting on January 1, 2019, contracts entered into by our international joint ventures will also be included, whereby the new number of contracts would have amounted to 20.3 million contracts on December 31, 2018. With credit eligibility criteria remaining unchanged, the penetration rate, expressed as the ratio of financed or leased vehicles to relevant Group delivery volumes – including the Chinese joint ventures – was steady at 33.3 (33.1)%. As of December 31, 2018, Volkswagen Bank managed around 1.4 (1.5) million deposit accounts. Volkswagen Financial Services employed 14,048 people worldwide as of that date, 7,010 of them in Germany. Volkswagen Financial Services’ sales revenue amounted to €32.8 billion in the reporting period, thus exceeding the prior-year figure by €2.9%. Operating profit rose by 6.2% to €2.6 billion – a new record. The increase was mainly attributable to business growth. Excluding provisions and deferred tax liabilities. Earnings before tax as a percentage of average equity (continuing operations). Liabilities as a percentage of equity.